History abounds on a tour that began in Washington, D.C. and visited Civil War battlefields, colonial towns, and the Blue Ridge Mountains. As you might expect, Memorial Day weekend is a popular time to visit the nation’s capitol. There are celebrations, a free concert by the National Symphony Orchestra on the West Lawn, and a spectacular fireworks display. However, the annual Rolling Thunder bike rally, 250,000 strong, that descends on the city to pay homage to the nation’s veterans, is a sight I will never forget. They ride from the Pentagon to the U.S. Capitol building and rally at special wreath-laying ceremonies at the Vietnam Veterans Memorial, World War II Memorial, and Korean War Memorial. A visit to Arlington Cemetery, which has become a family cemetery for the Kennedys, was another stirring experience. Seeing the graves of J.F.K., his wife Jackie, their two infant children, and those of his brothers Robert and Edward, was a reminder of the contribution this one Irish American family has made to the nation. It was also a chance to reflect on President Kennedy’s visit to Ireland, and how on the 50th anniversary of that visit, in June, 2013, I had witnessed the lighting of the “Emigrant Flame” memorial on the quayside in New Ross, using fire brought from the eternal flame at Arlington. The Lincoln Memorial and the Reflecting Pool, also on our tour, provide a spectacular view of the U.S. Capitol Building, the National Mall, and the Washington Monument. President Lincoln’s Gettysburg Address is inscribed on the south wall of the Lincoln Memorial, and as I stopped to read it, I overhear another tourist say, “He really does look like Daniel Day-Lewis.” (Day-Lewis played Lincoln in the movie). Reading Lincoln’s address was a perfect way to prepare for our visit to Gettysburg National Military Park Museum and Visitor Center. The Irish Brigade, already decimated at the Battle of Fredericksburg managed to field 600 men at Gettysburg, many of whom were still recovering from wounds suffered at Fredericksburg. Forty percent of their number were lost at Gettysburg. 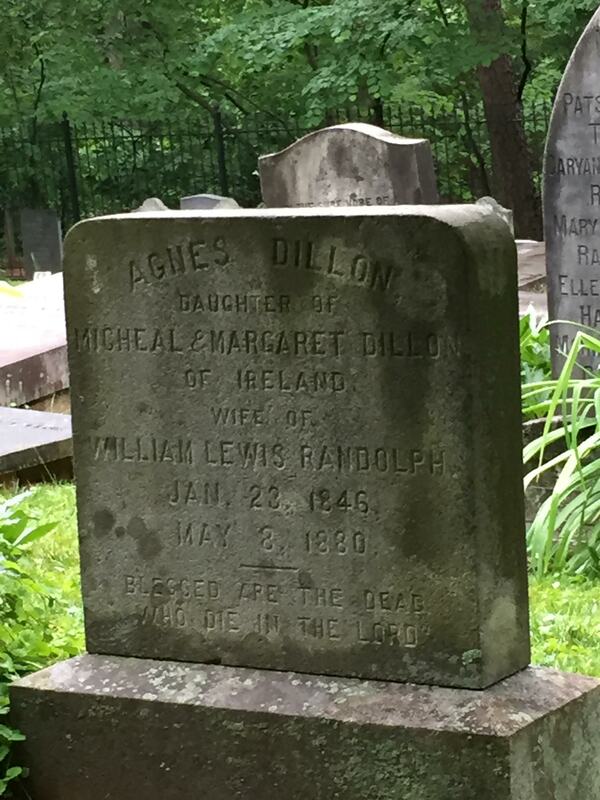 Among the confederate dead was Willie Mitchel, the 17-year-old son of John Mitchel, the Irish Fenian and founder of the United Irishmen. 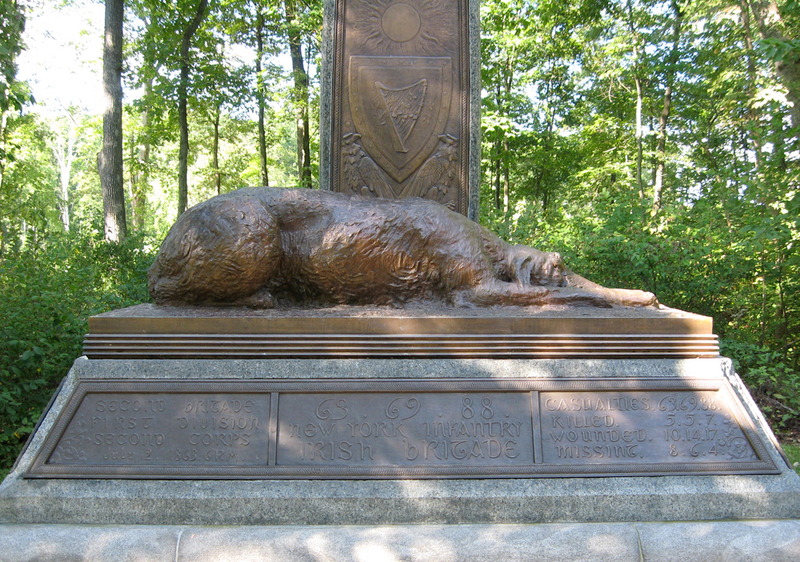 The Irish Brigade memorial includes a life-sized replica of an Irish wolfhound, a symbol of honor and fidelity, which lies at the foot of a Celtic cross supported by a granite base, standing 19’ 6” tall. 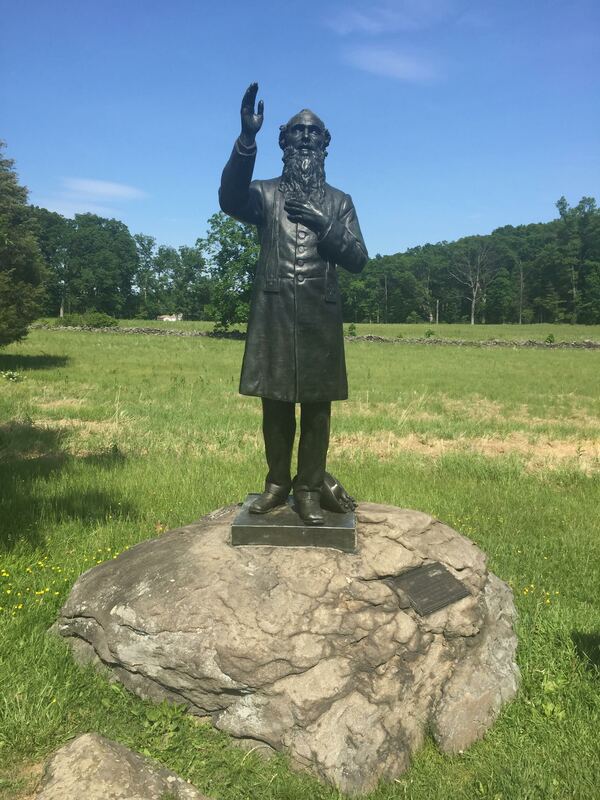 The monument was sculpted by a former Confederate soldier, William R. O’Donovan, who himself had fought at the Battle of Gettysburg. There is also a monument to Father William Corby (born in Detroit to Daniel Corby, an Irish immigrant, and his wife Elizabeth, a Canadian), the army chaplain who was attached to the Irish Brigade and is best known for giving general absolution to his soldiers on the second day of the battle. 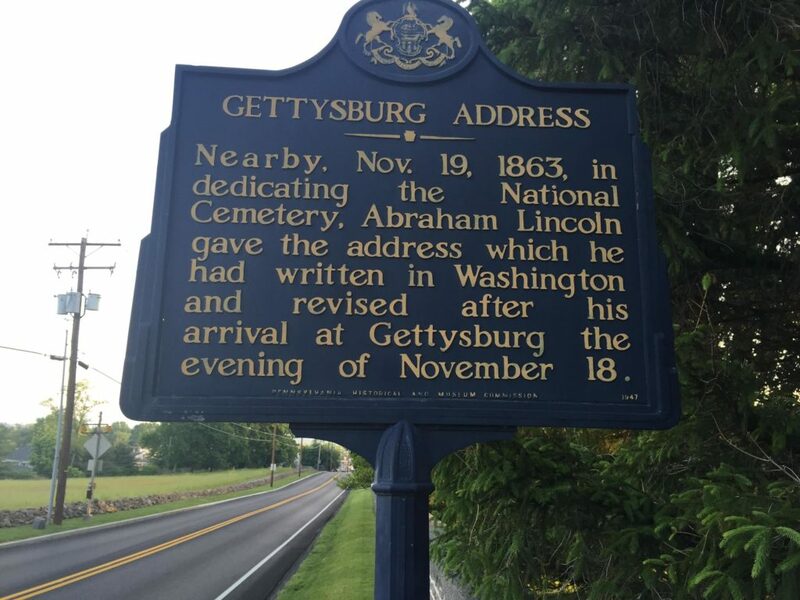 Leaving Gettysburg, Pennsylvania, we journeyed on to West Virginia and the historic village of Harpers Ferry. It was here, on October 16, 1859, that abolitionist John Brown led a small army of 18 men in a takeover of the federal arsenal. Troops led by Colonel Robert E. Lee arrived from Washington, D.C. to arrest Brown, who was subsequently captured, tried for treason, and hanged on December 2nd. Seventeen people lost their lives in the skirmish including Irishman Luke Quinn, a Marine. Father Michael Costello of St. Peter’s Catholic Church gave Private Quinn the last rites. Costello, who was educated at All Hallows seminary in Dublin, famously preserved his church from damage by Confederates soldiers by flying the Union Jack. Still remembered today as one of Harper Ferry’s heroes Pvt. Quinn has a memorial and a pub named for him. This is a truly beautiful place where the Shenandoah and Potomac rivers meet in this most eastern point of West Virginia. The Appalachian Trail goes right through the town, and Harpers Ferry National Historical Park, which surrounds the village, has easy walking and biking trails. Next up on our tour was the Luray Caverns, just west of Luray, Virginia. It offers an underground walk through stunning stalactites and stalagmites. The entire trek takes about 45 minutes and covers about a mile and a half. Leaving the caves behind, we moved on to the Shenandoah National Park to stay in a spectacular lodge on the crest of the Blue Ridge Mountains with breathtaking views of the Shenandoah Valley, its Native American name is said to mean “Daughter of the Stars.” Called the Great Valley of Virginia in the 18th and 19th centuries, it links North and South along the border and was a strategic theater of operations for both Federal and Confederate forces in the Civil War. We stopped for a night in Beckley, West Virginia, where the current mayor is Bill O’Brien, and where I had my first deep-fried Spanish onion. The main attraction in this town is an exhibition coal mine. We visited Lewisburg, Kentucky, the site of another Civil War battle, and made a visit to the New River Gorge Bridge, which rises 876 feet above the river. A visit to Churchill Downs was enhanced by the sight of American Pharaoh, the horse that would win the Triple Crown the following week, and rounded off by an enjoyable evening in a great Irish pub, Molly Malone’s, in Louisville. Still in Kentucky, we stopped by Sinking Spring Farm, now in Jefferson County, where Abraham Lincoln was born, and few miles to the northeast along Knob Creek, where he lived from the age of two until seven. A visit to a distillery ensued. Here we learned about the production of bourbon. It took me a few shots to conclude that it was good but not as good as its Irish cousin. That evening saw us stay in Bardstown, the home of the Talbot Inn, where a drunk Jessie James shot up the wallpaper in his room because he thought the birds on it were real, or so it’s said. Moving on, we arrived in Corbin, the home of the first Colonel Sanders K.F.C., which is now a museum. More interesting for me was the Museum of Appalachia, followed by 65 acres of historic buildings and artifacts, which gave us an insight into frontier living in the 1800s. We spent two nights in Gatlinburg, Tennessee. 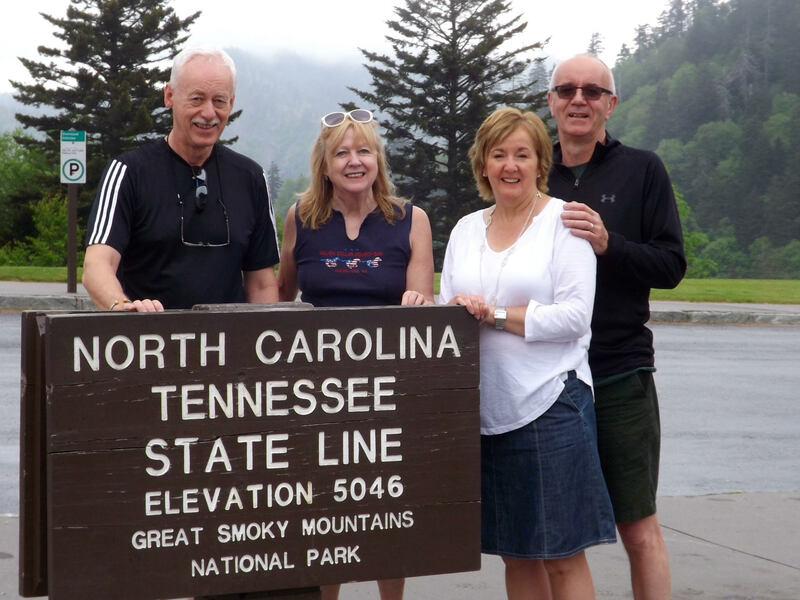 During the winter it is a popular ski resort and in the summer it is a center for tourists who visit the Great Smoky Mountains National Park, which attracts twice as many tourists as the Grand Canyon. Just up the road is Pigeon Forge, home of one of my heroes, Dolly Parton. I spent a day in Dollywood, her theme park. It was here that I was reminded that we were in the Bible Belt by the many visiting groups of Southern Baptists singing along with the gospel singers. Later that evening, I was pleased to be asked for my I.D. when buying a beer, only to find out that it is Tennessee state law! Traveling through the center of the spectacular Smoky Mountains, we arrived at the 7,500-acre Biltmore Estate built by the railroad magnates, the Vanderbilts. This is the largest privately owned house in the U.S. and has appeared in Forest Gump and The Last of the Mohicans. It is impressive but I wouldn’t want to be paying the heating bill. 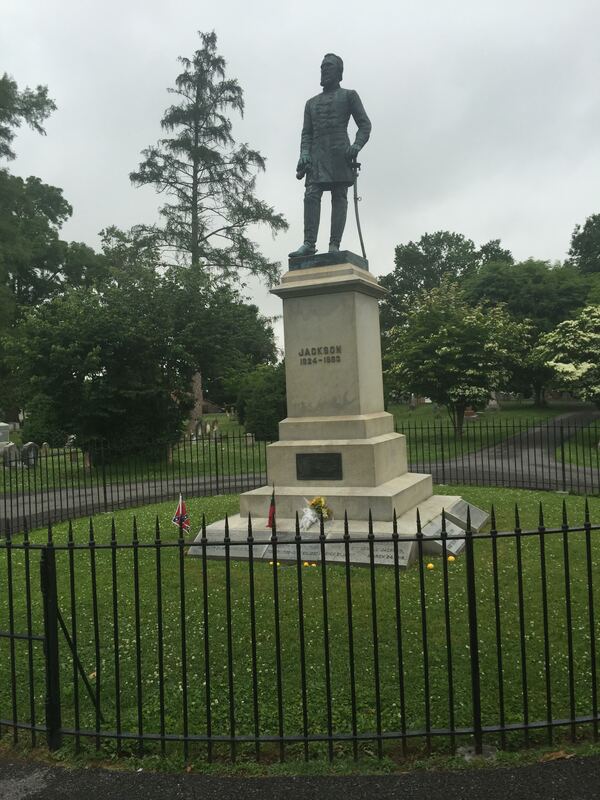 We moved back through the Smokies to Lexington, Virginia, where a guided tour of the Stonewall Jackson house gave us an insight into a Confederate legend. 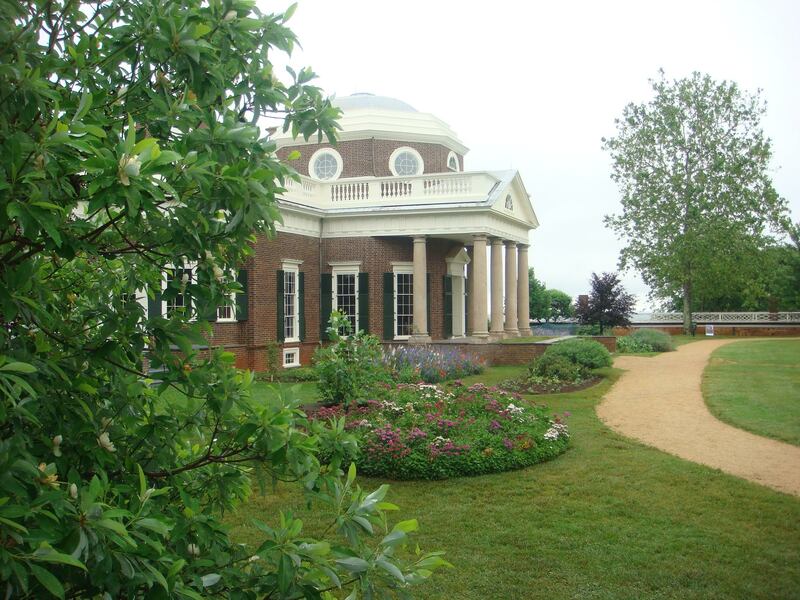 The afternoon saw us at Monticello, home of Thomas Jefferson. The woodwork in the house is superb and it was masterminded by an Irish immigrant, James Dinsmore. Williamsburg was next on the itinerary. It was interesting to stroll down quaint streets and browse through taverns, shops, and exhibits. Our final day had a visit to Mount Vernon, home of George Washington. The views over the Potomac River are impressive. We were also able to visit his and his wife Martha’s grave and listen to the Pledge of Allegiance being recited by the U.S. tourists. Our final evening, before taking the shuttles to the airport, was spent in lovely Old Town Alexandria across the Potomac River from Washington, D.C. Note: Unfortunately following our visit to Harpers Ferry, a fire devastated the historic district of the town, burning buildings that housed 10 businesses including the Private Quinn’s Pub. For information on Cosmos escorted tours, visit www.cosmos.com. The reading of the Gettysburg Address by President Lincoln has an Irish connection not mentioned above. On the platform beside the President stood Pennsylvania Governor Andrew Gregg Curtin whose father was an emigrant from Co. Clare. It should also be stated that General Meade who commanded the Union Army at Gettysburg was born in Spain to Irish parents.